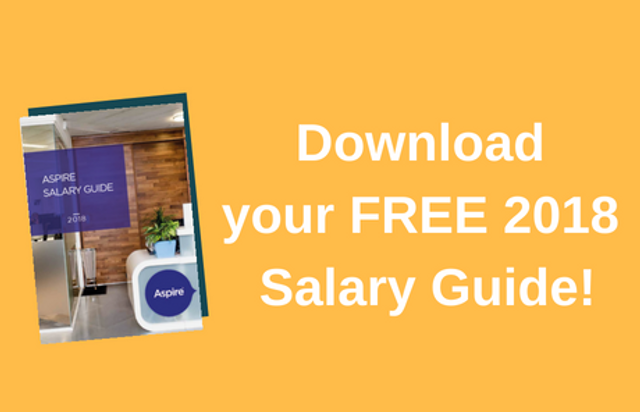 Recently at Aspire, we contacted clients and used our own internal salary guides for the sectors we recruit into and put together this comprehensive Salary Guide for companies and employees to understand what the Hong Kong market is offering. Being a digital marketing professional, I would be lying if I tell you I didn't scroll down to the page about Digital Marketing immediately after I received my colleague's insights. And I hope you'd be as excited about what we have put together for you as I am. But after comparing your salary with the market benchmark, what is your next move? Are you feeling quite satisfied and, dare I say, smugged that you are being paid more, or are you frustrated that you want to jump to another job right away? For me, the biggest takeaway from this guide is not just about what my peers are earning compared to myself, but to think about my own career growth path. Especially in the digital field, being an all-capable digital marketing professional should not be the only goal. The market favours specialists, especially those who can demonstrate their strategic thinking while showing measurable results. While you may consider being over/underpaid, where do you envision yourself to be with your next step? How are you going to justify the pay rise you think you deserve or how are you going to demand that title change to match your years of experience and expertise? As we see time and time again, the candidates that stand out are never those who can just do the job well, but those who are extremely driven in and aware of their career path. Not sure whether you're too good for your current role? Get in touch with our team and let's have a chat! This is essential for companies to understand the worth of their current and future employees for hiring and budgeting forecasts, but also this guide is invaluable for candidates to compare themselves against their peers and calculate how they can progress fairly in their role and industry. "A pure Email Marketer probably won't exist in the next five years"
Women in Business ... Why forced but not natural? How about an exceptional case study to go with your application? Don't Get Left Behind - Measure Your Marketing!